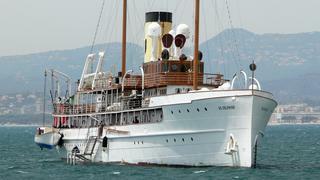 SS DELPHINE is a Loading... luxury yacht, built by Great Lakes Ew and delivered in 1921. Her top speed is 13.0kn and she boasts a maximum cruising range of 3000.0nm at 9.0kn with power coming from two 1500.0hp Great Lakes EW steam reciprocating engines. 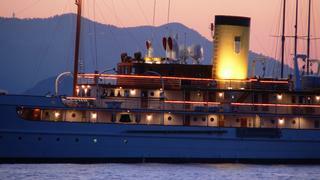 She can accommodate up to 26 people with 32 crew members. 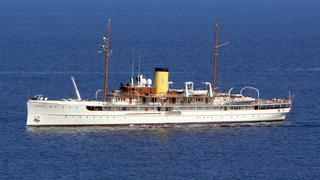 She was designed by Antoine Wille with Henry J. Gielow developing the naval architecture, and the interior design was created by Georges Marinus.